In Surprised by Shame, Deborah A. Martinsen combines shame studies and literary criticism. She begins with a discussion of shame dynamics, including the tendency of those who witness shame to feel shame themselves. Because Dostoevsky identified shame as a fundamental source of lying, Martinsen focuses on scenes when liars are exposed. 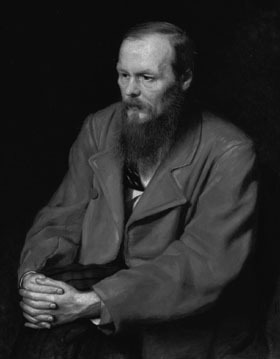 She argues that by making readers witness such scandal scenes, Dostoevsky surprises them with shame, thereby collapsing the distance between readers and characters and viscerally involving them in his message of human interconnection. 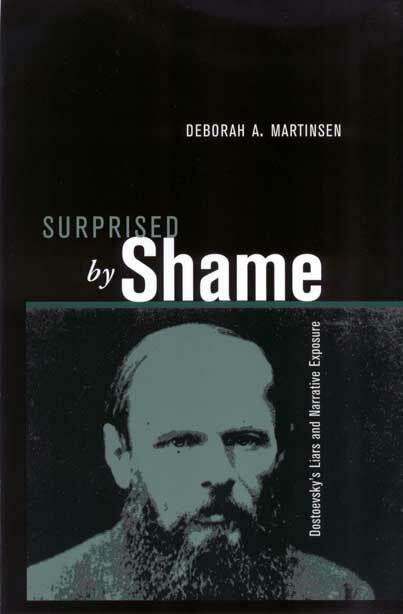 Treating Dostoevsky’s liars as case studies, Surprised by Shame discusses varieties of shame and shamelessness; it also illustrates how Dostoevsky uses lying to indicate and expose subconscious processes. In addition, Martinsen demonstrates how Dostoevsky plucks shame from the realm of character trait and plot motive and embeds it in the narrative dynamics of The Idiot, Demons, and The Brothers Karamazov, thereby plunging readers into fictional experience and ethically transforming them. By focusing on shame, this book uncovers new perspectives on Dostoevsky as writer and psychologist. By exposing how shame dynamics implicate readers in texts’ ethical actions, it enriches understanding of his tremendous influence on twentieth-century thinkers and writers. Finally, reading Dostoevsky as a prophet of shame-begotten violence reveals his universal relevance in a twenty-first century already scarred by acts of violence. Deborah A. Martinsen is Associate Dean of the Core Curriculum and Adjunct Associate Professor of Slavic at Columbia University.